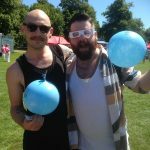 SEPnet > Diversity > University of Sussex take Physics to Pride! 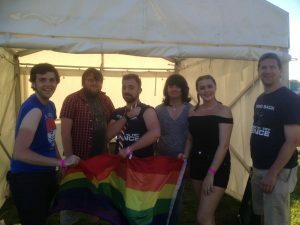 University of Sussex take Physics to Pride! 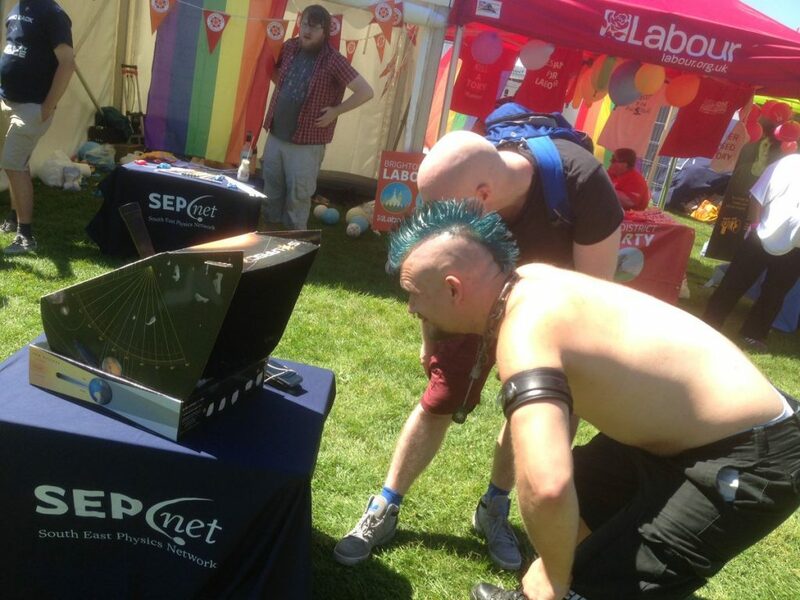 The University of Sussex in partnership with the SEPnet Outreach team ran a Physics stall as part of the Brighton Pride celebrations. Many of those attending were surprised and delighted to find a little bit of Physics in between the varied community stalls representing the LGBT+ community. 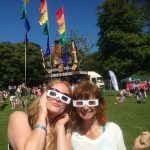 There was something for everyone, from surprising Physics tricks, such as “Amazing Marshmallows” and “Balloon Kebabs”, to solar telescopes showing some beautiful flare activity throughout the day. Those visiting the stall enjoyed their small taste of Physics many saying they had changed their view on Physics that they had had since their school lessons many years before. The stall was run by Dr Darren Baskill (right), Outreach Officer at the University of Sussex with a team of four student ambassadors from the University of Sussex. (From left to right, Zak, Connor, Dominic, Jasmine, Jessica). With over 500 visitors to the stall, they were kept busy throughout the sunny afternoon at Preston Park. 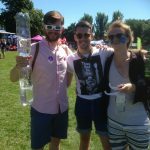 The idea to attend Pride came from Jessica and championed by Dr Kathy Romer, STFC Public Engagement Fellow at Sussex. If you are part of the LGBT+ community and want to work with our Outreach team to explore way we can bring both the Physics and LGBT+ communities together, please do get in touch.